What’s better than having a night with your friends, enjoying each other’s company, and immersing yourself in a fantastical adventure? Doing so with some good comfort food. This time we’ll show you how to make a good and filling meal in the bacon & egg slice, and a tasty desert with my mum’s apple tart recipe. Line a baking sheet with baking/parchment paper. If you like these recipes, have a go at making them, and let us know how it turns out! If you’ve missed any of the previous recipes, find them HERE. Last time on our Casino Games series, we showed you the grand table of the casino: Roulette. Slots are the easiest of the Sigil Casino Games to play, as there is just one roll to do and no skill (or Skill) involved at all. You put in your money, you press the button/pull the lever, and hope for the best. Playing d100 slots means simply rolling declaring how much of your Wealth Skill Level you are willing to bet, and then rolling 3d10. That’s all there is to it. Just like real-life slot machines, it’s quick and easy, perhaps too quick and easy, and that’s where the danger lies. Slots these days have dozens of symbols and colours that can appear on the screen that mix and match to create the random results, but on a d10 there is only 10 numbers to pick from. This means that the results you can get are fewer, but it also means that the odds of winning are greater. So when you’ve made your “bet” and rolled your 3d10, simply look at the table below and see what you’ve won. Remember that with slots, you don’t have to guess or predict or pick the winning numbers like with roulette. As long as your d10s show any of the results you will get your pay-out. And that’s it, you are set to go! Betting in the Sigil System works by using “points” of your character’s Wealth Skill Level. If you win, you gain a bonus to your Wealth Skill Check equal to the amount of points you’ve won until such a time as your GM decides you have used up all of your winnings (at least for 1 session). Similarly, you won’t lose any levels in your Wealth Skill if you lose a bet, but you will take a penalty to any Wealth Skill Checks equal to the amount of points your lost. You can bet as many points of Wealth up to your character’s Wealth Skill Level plus any points you have already won. Other characters can “spot” you some money by taking a penalty to their Wealth Skill Checks, and you will gain some “points” to bet with. As the sun sets on the first day back at the reserve trouble arrives with howls on the wind. We don’t just want to bring you great games, mods and adventures. We also want to make your gaming sessions amazing. And to help with that, we’re starting a new series on the blog: d100 Recipes. Over the next year or so, we’ll be showing you 100 recipes that are easy, tasty and filling. Even if you have never cooked before in your life, we’re sure you’ll be able to tackle some of these recipes to make your gaming nights more wholesome and fun. Grate your cheese and mix through your herbs and spices. We recommend a hard cheese such as Parmesan or Cheddar; and paprika, cayenne and some garlic salt for the spices. Dust your work surface slightly with some flour and spread out the sheets of puff pastry. Mix the egg thoroughly and give each sheet a good egg wash.
Sprinkle half the cheese onto one of the pastry sheets in an even layer. Cover the cheese with the other pastry sheet, making sure that the egg washed side is facing up. Sprinkle your remaining cheese onto the pastry sheet. Get a rolling pin and flatten your cheese filled pastry sheets, making sure to keep it rectangular in shape. Cut the cheesy pastry into 2cm/1inch strips. Take each strip and twist them at opposite ends, and put them on your baking sheet about 2cm/1 inch apart. Bake your cheese twists for 12-15 minutes, and then let them cool completely before enjoying them. You can always make the cheese twists in advance. Instead of baking them, you can put them in an airtight container and freeze them for up to 3 months. Then when you want, you can bake them straight from frozen for 15-18 minutes. Wash your lemons, cut them into wedges and remove the pith and seeds from them. Put the lemons (rind included) and the in the blender/food processor and blend them until you get a smooth(ish) lemonade. If it’s a particularly hot day, you can substitute some of the water for ice cubes, or even freeze some of the lemon wedges before you blend them. Have a taste since the lemon rind can make the lemonade a bit bitter, and add some sugar and blend it again. Keep adding sugar until you get the right amount of sweetness. If you like these recipes, have a go at making them, and let us know how it turned out! We are pleased to announce the newest game from Stormforge West and the newest member of the Stormforge family. Law C. Esper has joined our team and has made the gorgeously designed Travel Journal of Short Tales. Short Tales is a beautiful game meant for one-two session games full of lighthearted and comfortable adventures. Coming in at only 11 pages, Travel Journal of Short Tales is also a breeze to read and to learn. 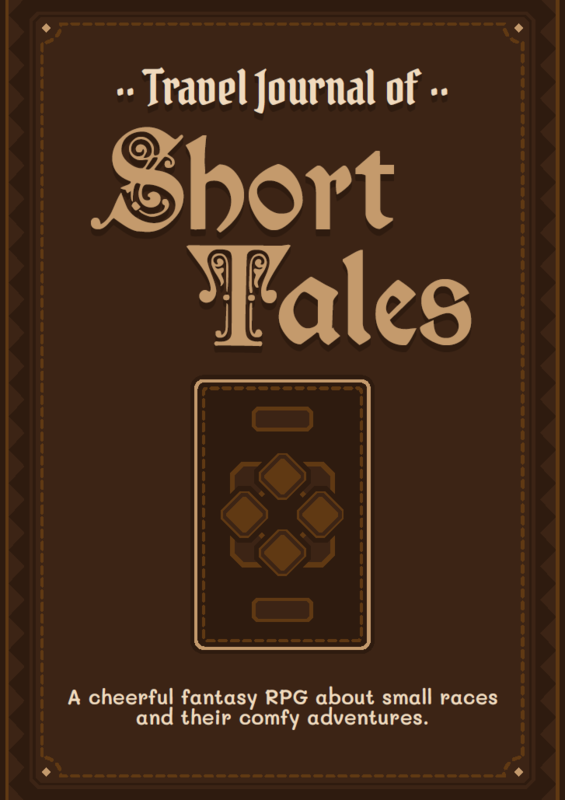 Travel Journal of Short Tales is available now on DriveThruRPG for only $1, so grab a copy, get some hot cocoa, and get ready for the comfiest of stories. And if you want to chat with Law about Short Tales, and with all the other Stormforge fans, then come join our Discord server! DriveThruRPG has their GM’s Day Sale currently going on, and that means you can get 20% to 40% off all our games. Get in quick though, as you only got one week till the sale ends. CLICK HERE to see all our games on sale! Last time we showed off probably the biggest new addition to the Runed Age 1.3. In this post we’ll go through some changes that will impact every part of your game. Starting with the Sigil System 1.2 and then going on to Z-LAND, the base Skill System that began with the Runed Age has seem some changes, and those changes are now coming back full circle to the Runed Age 1.3. There’s a fair bit that will change, and in particular how the runes and runic arrays interact with the Skills have been completely overhauled. The biggest changes you’ll see will be the absence of a few Skills. Perform, Contacts, and Runes have all been taken out. That doesn’t mean you can’t use these anymore, just that doing so will look a bit differently. The three social Skills (Deceive, Diplomacy, Intimidate) will now handle any type of performance you might want to create, and the Contacts subsystem (a whole dev journal is coming up just about this) will be dedicated just handling all your contacts in Middelburg. Losing Runes was tough, because let’s face it, it is called the Runed Age and the entire magic system is all about runes. But it was one Skill that encompassed the entirety of the runic magic system and the nearly infinite amount of things you could do with it. That is way too powerful, and we saw far too many characters that put all their EXP into Runes. What we’ve done instead is divide everything you can do surrounding runic arrays, and split them up into various other Skills.  Now you can be amazing at drawing out runic arrays, but not the best at thinking up designs, and vice versa. The two Skills that will now handle the bulk of the runic business are two somewhat new Skills: Fine-Craft and Logic. Fine-Craft as the name implies will be the go-to Skill for seeing how well you’ve drawn the runic arrays, and Logic will be all about designing the arrays themselves. … in with the new. Not only has Perform, Contacts and Runes gone, we’ve split up some other Skills into two to make them feel more like real individuals with a good spread of talents. The old Athletics now becomes Athletics and Might: Athletics is all about how dexterous and quick you can be, while Might is your raw brute strength. Craft has now become Fine-Craft and Broad-Craft, not the most creative of names, but we wanted to get their meaning across easily. Fine-Craft is all about the fine details, like putting together a clock, while Broad-Craft is about the bigger picture and working in broadstrokes, like building a cupboard, making a meal, etc. We also have two Skills who have undergone a name change to make them a bit broader in use: Insight has become Intuition; and Lore has become Logic. They still fulfil their old roles, but Logic can now be used to overcome puzzles, and Intuition can now also be used to see what your gut has to say about a situation or even what you can remember. Lastly, and straight from Z-LAND, we are putting the Luck Skill into Runed Age 1.3. Luck is a powerful Skill, and not only because it will determine your Sigil Threshold. You can use Luck in almost any situation where chance is a factor, and so can your GM. The muggers with loaded guns, who do they target in your party? Roll a Luck Skill to figure out who is the most unlucky between you. Are you lucky enough to find what you need in the first place you look? Your Luck Skill will tell you. Was anyone close enough to hear the vault door you blew up? Roll Luck to find out. We will also be putting in some looting mechanics that will depend on your Luck Skill. And that’s it for the changes to the Skills in the Runed Age 1.3. Tell us what you think of it, any other changes you can suggest, and what you will do with these new Skills. And while we are busy with The Runed Age, you can have your say about what we should work on afterwards by filling out this little survey. Atop the bloodied hill strangers are in sight. Tonight we find out who lurks in the morning light. We return to our survivors five years after the events of season two, where are they now and what does the future have in store for them. 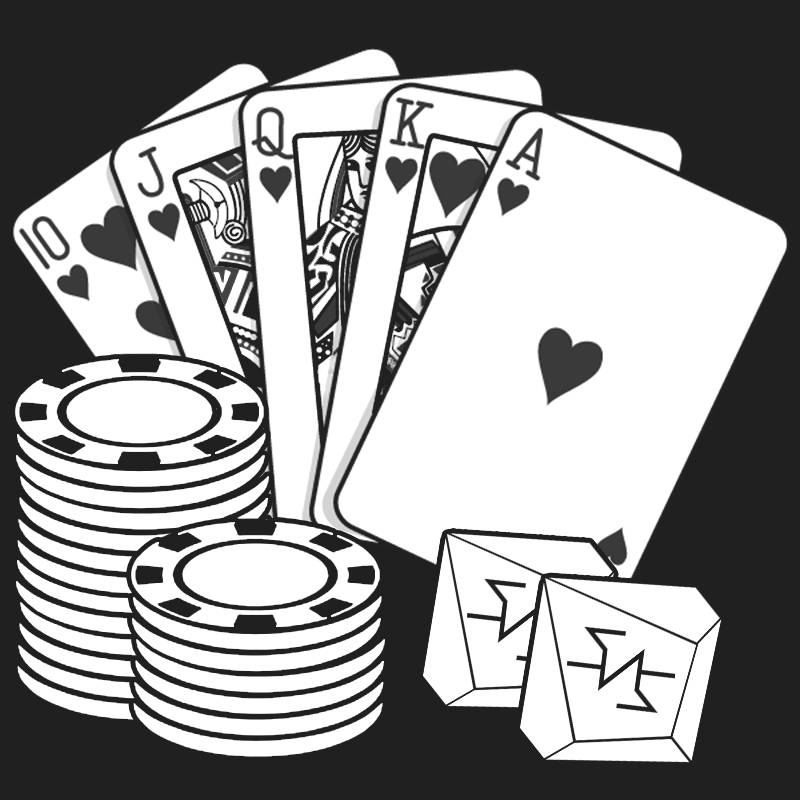 Last time on our Casino Games series, we showed you the most famous of casino games: Poker. The roulette table is where you want to be if you love taking a risk, and love getting even bigger rewards. With 35 to 1 pay-out, you can put in a little and get out a lot. Sigil Roulette is actually very easy to play, and has only two steps: First everyone places their bets, and then the GM rolls a d100. That’s all there is, simple as that. All you as the player needs to know is how to bet. This is what a roulette board looks like and where your PCs will place their chips to make their bets. There’s 37 pockets on a roulette wheel (running from 0 to 36) and how you bet will depend which of these 37 in whatever combination will get you your winnings. There are 13 types of bets you can place, and we’ll run through them, how they work and what your pay-out will be. For the pay-outs, 1 to 1 means that you will win as much as you bet (and get your bet back as well). So if you bet 5 points of Wealth, you will win an additional 5 points of Wealth. After everyone has placed their bets and their PCs have put their chips on the boards, the GM as the NPC host rolls a d100 to spin the roulette wheel. The next season of Z-LAND will take place 5 years after the last. To get you ready for it, Rycon has written what happens during those 5 years and we’ll be posting them here so you can follow along with what happens to the survivors. Last time we saw what happened with everyone at the Reserve during the five year timeskip. This time we see a little of the mysterious journeys that Jake and Nic went on during their own five years. Life outside the walls of the Reserve was far different than the one lived within. Jake and Nick knew this well. They remained in Tauranga, and attempted to understand the community that sunk their ship. What occurred there only Jake and Nic knew, but it lead them to helping two souls down on their luck. After their escape, their journey took them further than they any of them thought possible. They pushed out into the great unknown and it seemed for the longest time that any thought of returning to the Reserve was just that: a thought. But circumstances change and in time Jake and Nic had no choice but to return. What had they seen, and what had they experience throughout those final years… with the right questions and queries we might just find out in the next season of Z-LAND. And that’s it for the timeskip! The next time you hear about the group and their adventures, it will be in the next episode of Z-LAND on Rycon’s YouTube channel. So stay tuned to find out what happens. Itching to watch the series? CLICK HERE to catch up on all the apocalyptic action. Last time we finished off the first year after the group came to the Marine Centre. This time we look at the next 4 years that roll by. As one year bleeds into the next the people of The Reserve and the MDC are slowly getting used to their new lives, each with their own role in supporting the growing community. Over the four years no new souls have been found, only the dead. After Nic, Jake and eventually Chloe left no one else felt the need to answer the call of the road. It was clear that the outside world was still incredibly dangerous and that the MDC was nothing more than a small place of sanctuary among a violent and deadly storm. Outside the reinforced walls the ground is tilled and food is grown. The seas has remained plentiful but the numbers at the Reserve have dropped off slightly over the years. With no other commercial fishing ventures in operation the seas are safer than ever for larger populations of marine life. In addition to growing a crop ,consisting of mostly wheat, a smaller vegetable garden is maintained within the walls. What uninfected mammals persist outside the walls are trapped in cages and snares. Their meat, fur and sinew are processed by Schalk the trapper who’s become adept at using almost the entire animal, but trapper isn’t the only profession belonging to the newfound bushman. At night he secretly scans the airwaves picking up voices of the outside world, logging them, making sure that the Reserve remains hidden. Kate, his contact, has been a welcome voice to shake up the day-to-day of the Reserve, but over the years her positive outlook has slowly wavered. Maintaining their own self-imposed rules no talk of locations or names had occurred. To the rest of the community Schalk has just seemed like the kind of man that appreciates his privacy, so they give it to him. Atop the MDC his shack has evolved into a full-on home with all of his tanning and drying supplies. When the two young girls Olivia and Elsa attempted to break in to see the supposed arm bone of Schalk, the bushman scared them off without even trying. One story down from the roof, are the rooms of most the residents, each unique to the owner and well lived in after four years. The pool table at the centre of the room has faded and the television, once the focal point of the rec-area, was long since moved into storage. It has been replaced with a large bookcase full with fiction, much of which has been read many times over. The bathrooms still operate using gravity fed tanks atop the MDC. Refilling them is a pain when the rains are low, but it allows the residents to stay hygienic without much trouble. The toilets operate in a similar way, thankfully, sparing the community from latrines. Another level down, the kitchen often has wonderful aromas travelling from it with Jonah and Lulu working away, attempting to keep the meals interesting and fulfilling. Olivia, now fourteen years old, assists them while watching out for her little sister Elsa, who’s much more trouble at the age of eight. A diet of bread, vegetables, fish, shellfish, bird, possum, rabbit and stoat has kept the Reserve healthy and fitter than most in the new world. Finally, the bottom level is where much of the action happens. Outside, the washstation is often manned by Willow with her four year old son Philip, taking care of the laundering of the eleven residents’ clothing. Whenever an injury or sickness occurs she’s quick to jump into action. She and her young one still live outside the main walls in the house closest to the MDC, but all of the medical supplies are kept in the hospital ward created on the second level of the complex. At the rear of the MDC Lulu’s garden can be found. Here she works with Olivia and Elsa, keeping plants for eating and for medicinal purposes. Just outside the walls the archery targets still stand, Jen being the only member to continue to use them after their creator Chloe left. Now twenty years old, Jen has grown into a tough and capable woman. She’s honed her skills as an archer, easily becoming the best shot with a bow at the Reserve. When she isn’t practising her archery or assisting Scott and Frank on runs, she works the forge alongside Scott. The two have grown much closer over the years, something her Father Charles was very much aware of. His opinion wouldn’t have stopped Jen, but the man came out in support of the relationship. While it has been a slow burner, the two have become quite enamoured with the other. Charles, however, did disapprove of her joining Scott and Frank when they went beyond the walls of the Reserve. Trips outside the walls were difficult. The vehicles had remained in good repair thanks to Frank, but the fuel that ran them had spoiled years before, making the pink ute and the Swift all but useless. The three of the them used bicycles to travel quietly and with a bit more speed than walking the roads. They were always careful to only travel so far. Years prior, soundtraps were set up in each neighbouring town luring any infected creature towards that rather than the Reserve. A combination of reflective wind chimes and small solar garden lights helped catch the attention of the starving masses that swept through the towns. Luckily the members of the reserve never had to deal with swarms of rodents that plagued many other townships. The trips out were quick and with purpose, sometimes with no other object than to acquire a new book or a specific tool. Clad in chainmail, the three were a sight to see. The fights with the dead were precise and tactical. If a fight could be avoided it was always preferred. Successful, the three would return home. Scott and Jen would retired to the forge and work until the late evening on whatever the community required. By now even though it wasn’t required, every member of the Reserve had a set of chainmail custom built for them by the couple. In the morning Scott would rise early to assist Charles who had become the primary fisherman of the Reserve. The two always fished from shore keeping the boats moored since to travel in them invited unwanted attention. Come rain or shine they brought food in from the sea. The two men had become close over the years and Charles had stayed true to his sobriety pledge. The Things Lost to Time is a fantasy dungeon designed for OSR games, but is easily modified to fit any game with moderate tweaking. It is a tale of a vessel, lost to time, that crashed on whichever planet your game takes place. So long ago that it sunk into the earth. When miners unearth the strange, alien ship, an organisation of archaeologists offers to purchase any strange artefacts retrieved from within. This dungeon is more or less a test for a concept called “The Monthly Crawl”. The goal of this endeavour is to produce one quality dungeon or adventure, for generic fantasy roleplay, a month. I do not know when we will truly begin the Monthly Crawl, but in the meantime Stormforge West will be honing our dungeon crafting skills. Of course, this is not a replacement for my other projects. I develop dungeons as a hobby for my home group already, so I might as well share them with you. You can get The Things Lost to Time now on DriveThruRPG absolutely free by clicking here. As the title says, today Z-LAND is DriveThruRPG’s Deal of the Day, so if you haven’t gotten your hands on Z-LAND yet, there is no better time for it. Until tomorrow 9am (US Central Time) you can grab Z-LAND for only $6. So click on the banner above, or simply here, to get Z-LAND now before the time runs out. Z-LAND is where humanity is no longer the top of the food chain, where every day could be your last. Hunger, Thirst, Sleep and Exposure all wear down on you in a battle of attrition with the unstoppable Dead. Find the answer to the question “just how long would I survive” as you and your friends attempt to do just that. What makes Z-LAND unique is we take the survival aspect of survival-horror very seriously. You will see your character weaken as sleep deprivation, hunger & thirst slowly whittle them down. But that is where the choice comes in, will you just take it? Or will you do anything & everything necessary to survive? How much of yourself can you retain in your battle to survive? Last time we covered what happened the Chloe and Scott during their first year. This time we cover Schalk’s time and how the year comes to an end. While present for many of the events throughout Scott’s story, Schalk has taken to more of a passive approach to the community. Much like the month before, he’s spent most of his time atop his crows nest or pacing the out edge of the reserve. It’s during this pacing that he discovers the tracks of small animals, cats or possums he presumes. Using some of the workshop’s tools, he fashions a number of deadfall traps and small cages to leave on the perimeter. Within a few weeks these have a positive return: a number of uninfected possums and a cat or two. Up top of the MDC he butchers and dries the meat of said critters. The fur of the possums are a valuable resource and, well, there’s more than one way to skin a cat, the leather from which Schalk attempts to tan and preserve. It takes time and trial and error, but eventually he has useable material. The “jerky” that he is able to provide to the community is a welcome change and supplements the current diets nicely. All the while Schalk waits for a response from the radio again. Schalk had never heard his radio friend’s voice before but this very well could be the same person. He starts off slow, giving a name and receiving one in return: Kate. Kate claims to be the same person who was communicating with him in coded beeps in months prior. When inquiring about her absence she pauses for a long time until finally receiving a dismissive response. She states that she was away from the equipment, away from her, she pauses again… home. Communication always comes to an end an hour after midnight every night. Each night Schalk’s there, and they talk but not through coded beeps this time rather two humans speaking over great distances. During the day he expand his trapping by stringing nets between the accommodation building and the MDC proper to catch birds and bats. It takes time but the nets return a profit in time, the same goes for small hooks with fish guts tied to branches to catch sea birds and the like. More variety of proteins, and also feathers to be used on arrows. Schalk share his success with Kate at night she seems genuinely happy to hear him thriving. She’s always very careful to make sure that he doesn’t give to much away about his surroundings, almost as though she’s protecting him from something. She has asked about numbers in the past, how many people he has, but all he’s got from asking her is “many”. She’s also been interested in his ratio of males and females in the group. After being honest with her, as she has been with him so far, she offers him a warning. “If you ever see a New Zealand Army uniform or a chopper overhead, do not communicate, hide if you can.” When asked why, all she can offer Schalk is that his group just “wouldn’t do well here”. Maybe it was a slip up, or maybe it was intentional, but her last sentence confirms that Kate was part of some military presence. A presence that Schalk would slowly learn more of as the months went on and the conversation continued. Winter wasn’t kind to him atop the accommodation building but he had some time to insulate his little abode atop it. That and all the furs he had collected over summer made for warm boots, mittens and beanies. After Jonah’s heart attack the old man joined him often as Schalk walked the perimeter checking the traps as he was unable to venture outside of the reserve. Often he spoke of his daughters, how they never had the chance to start their own families. There is a sense of understanding between the two of them and perhaps the start of a friendship. The year comes to an end with the birth of Willows son. It’s been a year of slow change but the complex around Schalk has changed throughout it. Fortified, with gardens, a community and the start of something new. Each night Kate waited to hear about his day and she shared hers with him. As best he could understand it, she was a communications officer in the New Zealand Army and that each night for an hour she had the comms suite to herself. She never disclosed her location and neither did he. What would come of his talks was still to unfold but for now he knew a little bit more about another’s life in this undead world.